Hello, my name is Narumi. I am studying Ethnology and German culture at Tokyo University. I love communicating with people from different backgrounds. I love traditional cultures and I belong to Japanese Tee Ceremony club (Sado) and Hawaiian Hula dance club at Tokyo University,. Last year,I studied in Munich, Germany, as an exchange student. 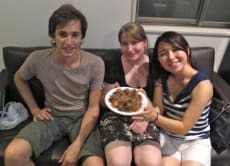 Takoyaki Making with Tokyo University Students! Although it was during a rainy day, Narumi and her friend still was very happy to show us around the Tokyo University campus! 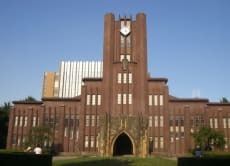 If you are interested in meeting Japanese University students I recommend this tour.